The CWPI provides a financial incentive to producers and landowners to plant new field windbreaks, riparian plantings, or wildlife plantings on their property. A limited funding pool has been allocated for 2019, and applications are being accepted on a first-come, first-served basis. 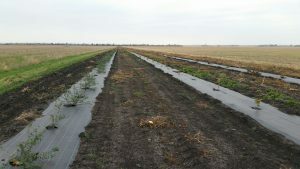 Tree planting and weed barrier fabric are cost-shared on a 75% SCD 25% producer match. Applications are available in the office or on this page. With a limited funding pool, don’t delay!